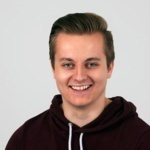 Lewis joins us from one of the UK’s biggest agencies, where he has been working on outreach and SEO campaigns. He’s worked on link building for a wide range of clients, including Gamble Aware, Walls Pastry and Pork Farms. Lewis is going to be helping us scale our outreach and SEO efforts, including managing our blogger and media database. He was kind enough to sit down with our Creative Director on his second day in the office, and share some of his SEO and outreach knowledge (as well as telling us where he likes to go on holiday)…. I originally joined a digital marketing agency in Bristol as a social media apprentice. After mastering my skills in this field, I noticed how SEO was at the forefront of every service an agency delivers. I secured a new and more varied role at the agency and branched out into SEO. Now I am joining Seeker Digital to see how Seeker approaches SEO in a unique (but very successful) way. What elements of SEO interest you the most? There’s nothing more rewarding in SEO than seeing organic stats shoot up after a successful outreach campaign. Securing link placements and building relationships with bloggers and journalists is a great way to do SEO; these relationships can prove to become very valuable over time. Maintain your relationships. It’s so important and it often gets overlooked due to tight deadlines or a large number of campaigns taking place at once. After securing coverage with a top blogger or journalist, staying connected with them is advantageous. Connections can be a huge help when a similar campaign comes through the door. It can be as simple as a follow on Twitter — don’t overthink it. Something cool you’ve learned recently? I’ve recently been told that if you can’t be creative, be innovative. It’s a great idea when you think about it: just take something that’s already great and add a new angle. Deliveroo is Uber for food. Facebook took over from MySpace. Not many of today’s ideas are truly new, they’re just improved versions of a previous model. Favourite parts of Bristol, and why? Having lived all 19 years of my life in Stockwood, I feel I have to show some love to my hometown. But Bristol Harbourside definitely tops my favourite locations in Bristol. It boasts some great scenery and has an atmosphere of its own. What made you want to become a Seeker? I reached out to Seeker Digital because I could see that Seeker are a unique agency who are getting SEO and outreach right. 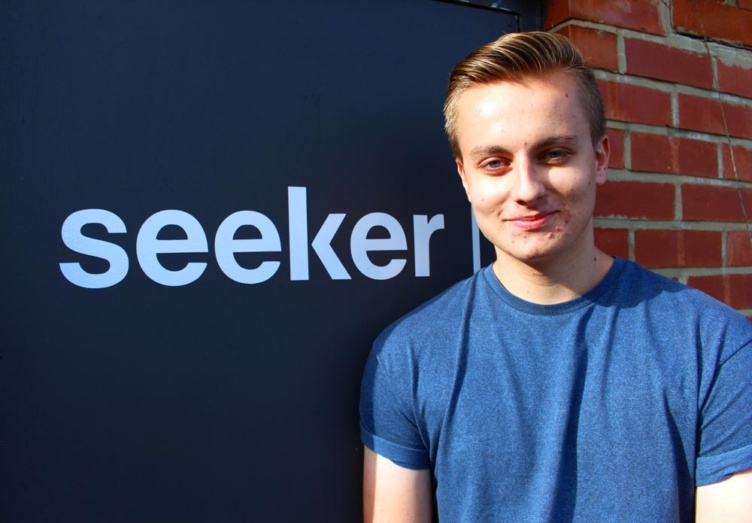 Also, being at Seeker is a great culture to be a part of; there’s huge opportunity for me to gain new skills and develop my expertise in the industry. I’m able to work with some inspiring people and I’m enjoying the new challenge. I’m really looking forward to working with some very interesting clients here at Seeker, and working to expand my knowledge and expertise in all the different aspects of SEO. The goal is to become a well-rounded digital marketer with a varied skill-set. Travelling abroad and experiencing some non-English weather can be much needed at times, but nothing beats a weekend trip down to Cornwall. Beaches, pasties and pubs – what more could you want! So that’s me. Have any questions you’d like to ask? Leave them below and I’ll get back to you.